The first stirrup designed to help reduce SSIs. No more trying to clean VELCRO® brand fasteners*. 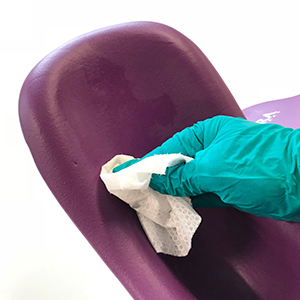 Coated fluid proof seamless pad eliminates fluid entrapment in pad seams. Strong KYRA SECURE-LOK™ closure straps securely hold patients leg in place. ½” more of pressure relief padding than traditional stirrups. 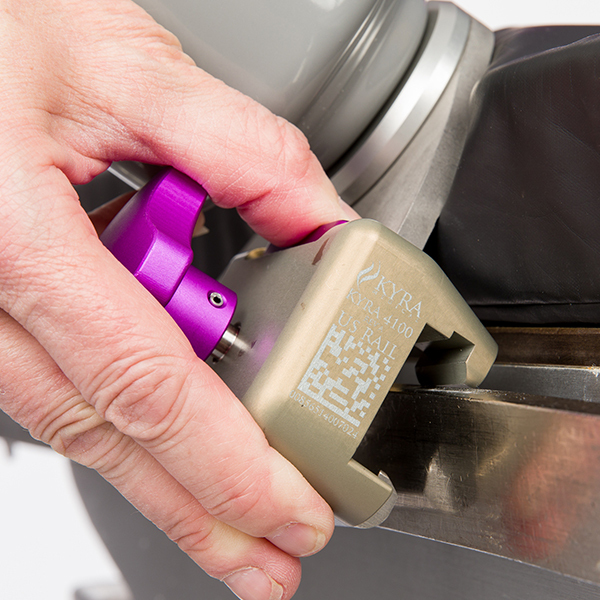 The Integrated KYRA SECURE-RELEASE™ Clamp solves the “lost clamp problem”. If the clamp is damaged it can be easily replaced or removed between cases allowing uninterrupted use. 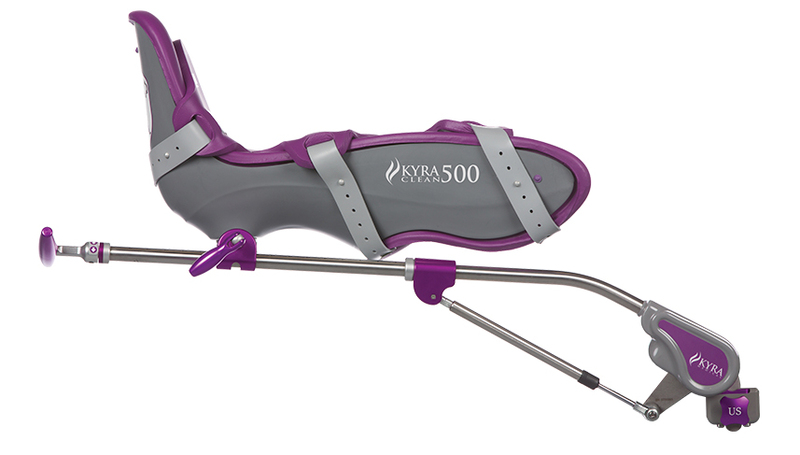 The KYRA CLEAN™ 500 boot accommodates up to the 95th percentile leg size patients weighing 500 lb.500 lbs. 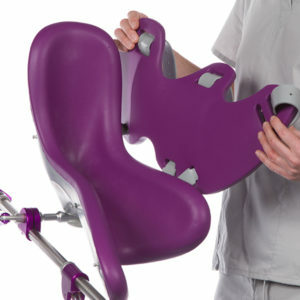 VELCRO® is a registered trademark of VELCRO BVBA and is not associated with Kyra Medical, Inc. Patents pending in the United States Trademark and Patent Office. Testing to ten years of equivalent use without failure. Data on file. The unique design of the boot accommodates legs with 4 inches more circumference than traditional 500 lb. 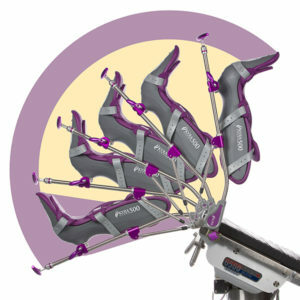 patient weighted stirrups while providing 1/2“more pressure reducing cushioning.